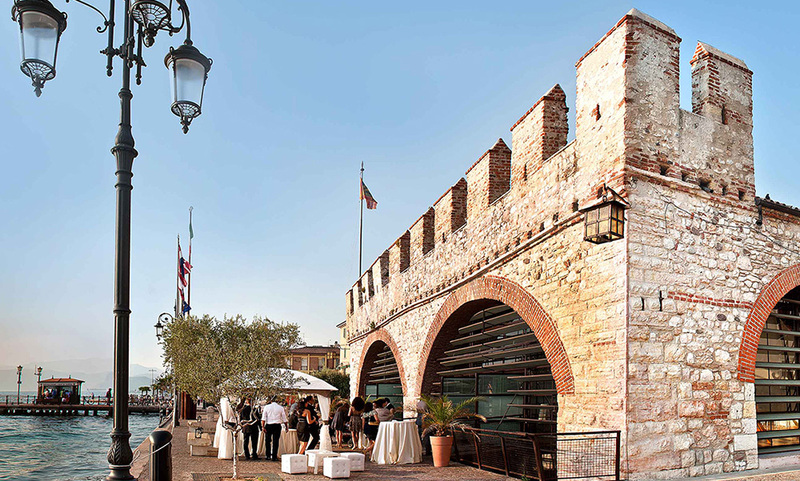 Dogana Veneta is a monumental 14th-century building located in the historic downtown of Lazise (VR). 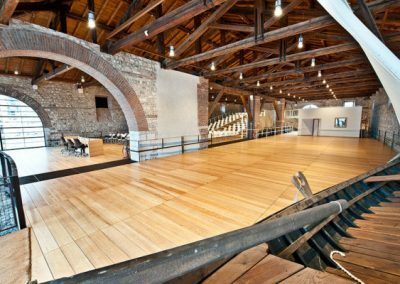 During the Venetian-age the building was used as a customs house for the transportation of goods between Lombardy and the Republic of Venice. In fact, the boats had to enter by passing under the imposing arches of its facade, before being able to access the port from an adjacent opening. Later, with the fall of the Venetian Republic, this function ceased, the access from the lake was filled in and the building was used for other purposes, among which, an arsenal. 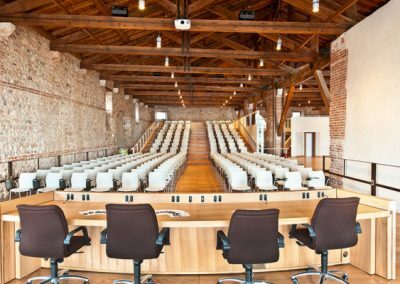 After a meticulous restoration (2003-2006), which restored it to its original splendor, the building was used for hosting Meetings, Conventions, Weddings, Gala Dinners, Product Launches, Fashion shows, as well as societal and cultural events. 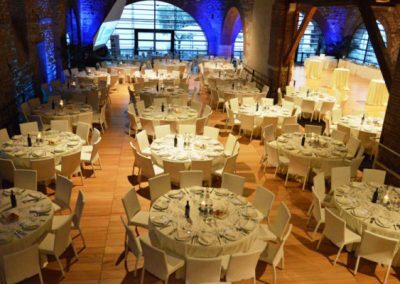 The structure exquisitely combines an evocative monumental setting with the latest technology of a multi-purpose convention center. 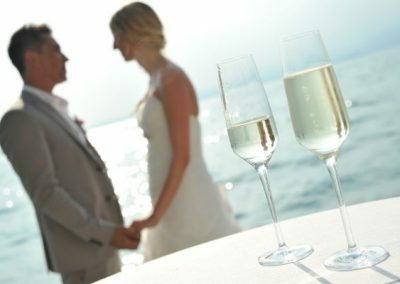 It is considered one of the most elegant and exclusive event venues in the Province of Verona. 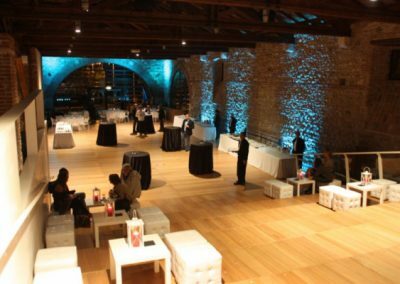 Dogana Veneta provides public and private companies with 800 m2 of multi-purpose area, perfectly equipped for various event solutions. 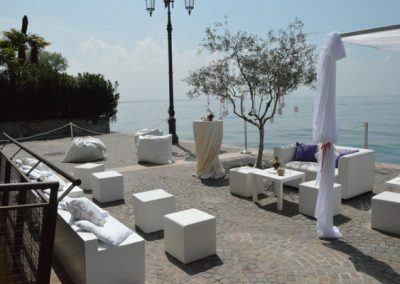 The building easily hosts more than 400 people, with the option of using the splendid, private terrace which overlooks the lake. 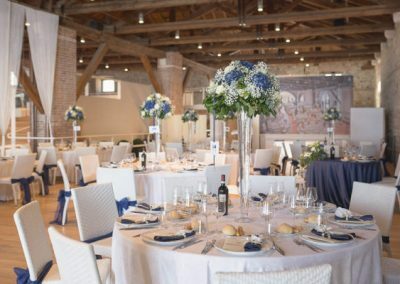 The halls of Dogana Veneta can also set up for cocktail-buffets, coffee breaks, gala dinners and wedding receptions. 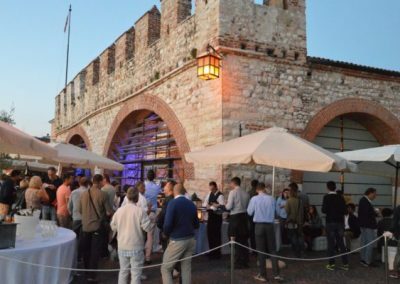 Dogana Veneta is certainly the building that best represents Lazise and its history: contrary to the other constructions such as the Scaligero Castel, it had, and continues to have, an excellent role of continuity in the development of cultural, civil and economic relations of the Lazise community, and of the entire Lago di Garda basin. Built by Cangrande della Scala at the beginning of the 1300s as a place to keep his fleet, later became a downright arsenal thanks to the Serenissima Repubblica di Venezia (Most Serene Republic of Venice) who decided to keep an important armed fleet there, always at the ready to garrison and fight against Visconti di Milano (Milan’s House of Visconti) and against the allies of the Lega di Cambray (Cambra League). During the first half of the 16th century, it was transformed into Tezone for the production of saltpeter, a substance used for making gun powder. 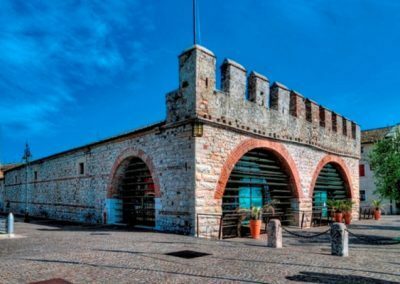 Only at the beginning of the 1600s was the building transformed into a Customs House for keeping the merchandise that the Serenissima Repubblica decided to allow to be transported from the sea to the lake, following a much shorter and more economic route. 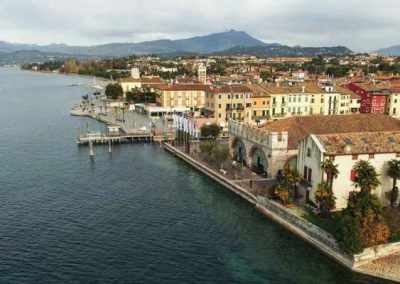 Therefore, Lazise became a crossroads of relevant economic interest between Veneto, Trentino and Lombardy, finding itself in the center of a thriving market, and realizing a remarkable economic prosperity for the entire community. 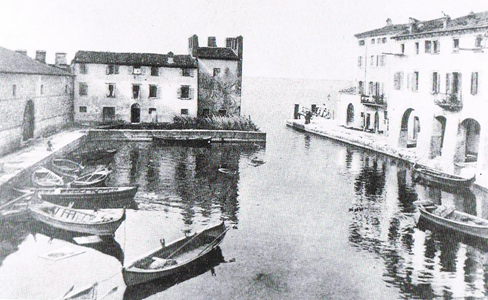 Following the unfortunate circumstances of the plague in 1630, the waning of the Serenissima Repubblica, the negative effects of the French invasion, the Dogana experienced an ever-declining traffic which ceased definitively in the early years of the second half of the 19th century. Then, it became a cotton-spinning factory, until its transformation into the Casa del Fascio (Administration building for the local branch of the National Fascist Party) under the Fascist Regime. But the fate of the Dogana, like the Phoenix, is that of always rising again to new prospects. Actually, thanks to the stubbornness of the community’s, and the commitment of the public administrators over the last 20 years who dearly desired to its renovation, a future opened up with great civil, cultural and economic opportunities for this prestigious building. 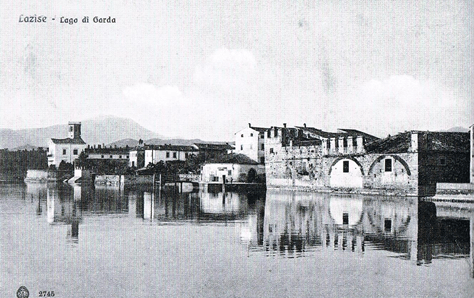 The masterful restoration, led by the Engineer Edoardo Ottoboni and Architect Giorgio Ugolini, place the Dogana Veneta in a luminous prospect of new business opportunities, tied to conference tourism, arts and culture and music/concerts, all the while remaining a point of reference for the need for civil representation of the entire Community of Lazise, Colà and Pacengo. The new conference center therefore, fits perfectly among the most important structures of our Region, becoming, from a landscape-historical perspective, a unique example of incomparable beauty and of invaluable architectural value. 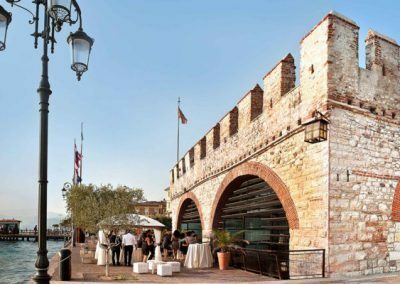 A beautiful book was written that gathers a plethora of details of the Dogana Veneta’s evolution and it’s over 700-year history. 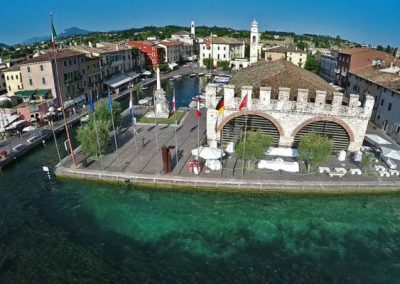 The studies gathered in the volume document how throughout the centuries, the Dogana Veneta has been a central place in the history of Lazise, a monument that has developed significant purposes through various ages, first of military, then the economic and social life of the Lago di Garda center. The volume is enhanced by amazing illustrations.